This past Monday my blog turned three years old (making it the only New Year's Resolution I've ever kept). And while loyal readers may have noticed that there were fewer posts last year than in years prior, I hope the ones I did write struck a chord. Blogging in 2014 brought numerous opportunities. 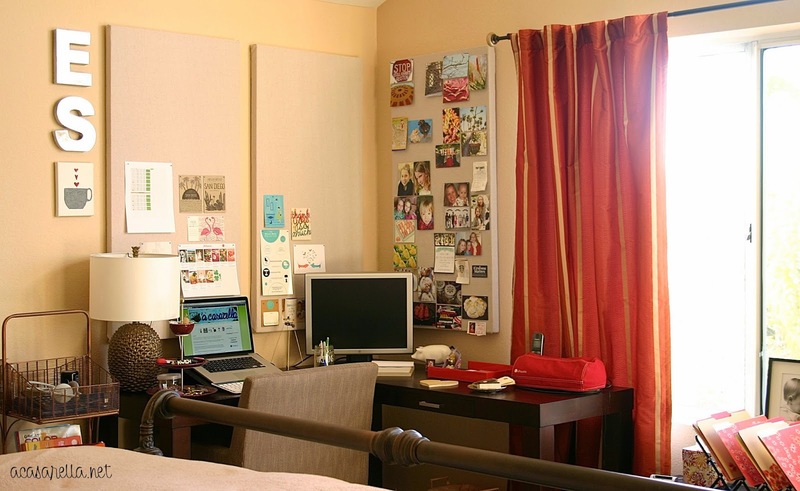 I got to work with some really great companies including Shutterfly, Wayfair, Minted, and Handybook. I know that people don't always like to read sponsored posts so it's important that you know how many companies I didn't agree to work with. (Okay, I don't actually have those numbers, but honestly, there were quite a few.) Although I appreciate being compensated for the work I do here, I will never (ever) write about a company or product that I myself don't love and/or use. 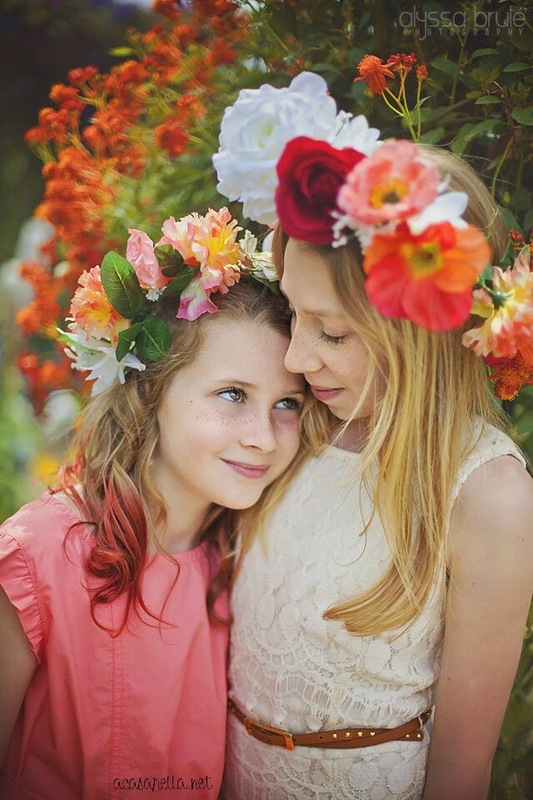 Even more exciting was the opportunity to work with some Southern California creatives including photographer Alyssa Brule (who took the beautiful picture of my daughters below) and Urban Craft Camp Founder Jen Byard, who gave me the opportunity to teach a session on Mason Jar Snow Globes at her holiday workshop. In January, I finally got a room of my own. (Well, sort of...) If you click on the image below you can read about how I turned an unused corner into a corner office. One of my favorite mediums (if you can call it a medium) to work with last year was Shrinky Dinks! 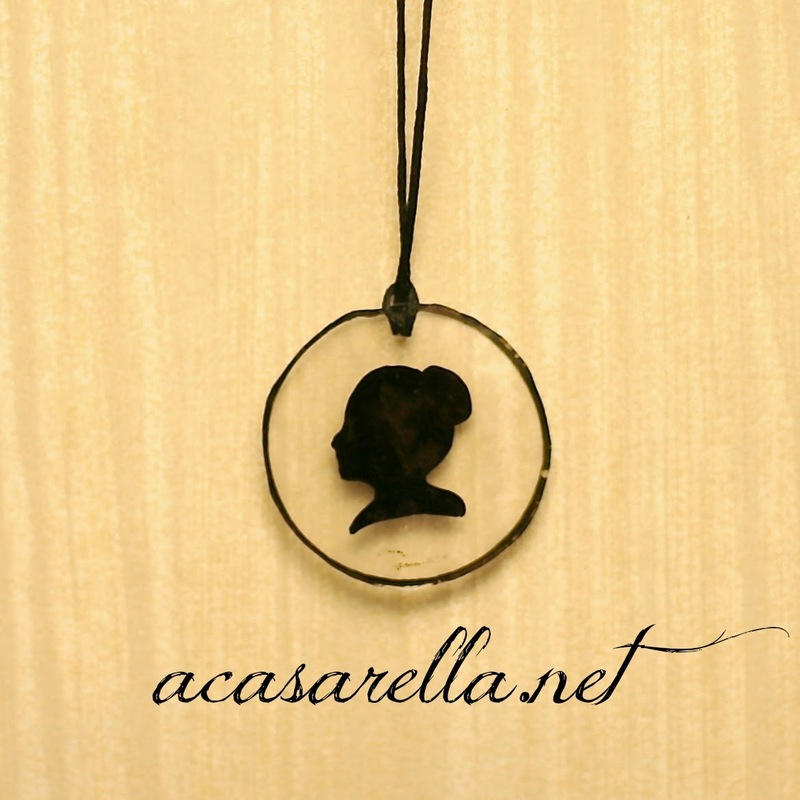 In addition to making Shrinky Dink charms for Rainbow Loom bracelets, I also made Silhouette necklaces. 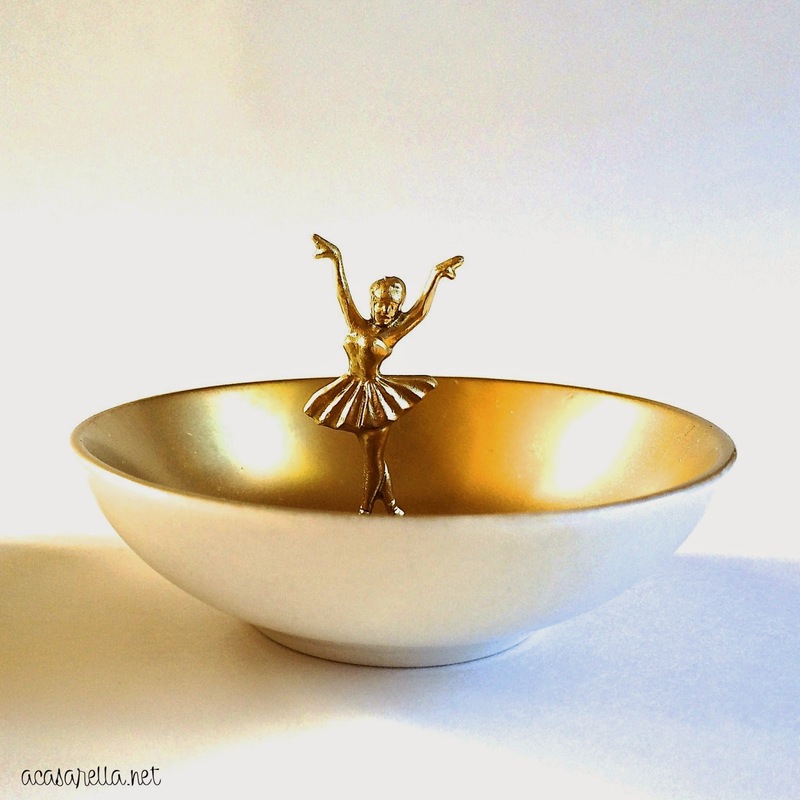 I absolutely loved making these ballerina ring dishes and, based on your feedback, it looks like you guys enjoyed them as much as I did. Clearly my gold spray paint got a work out in 2014. 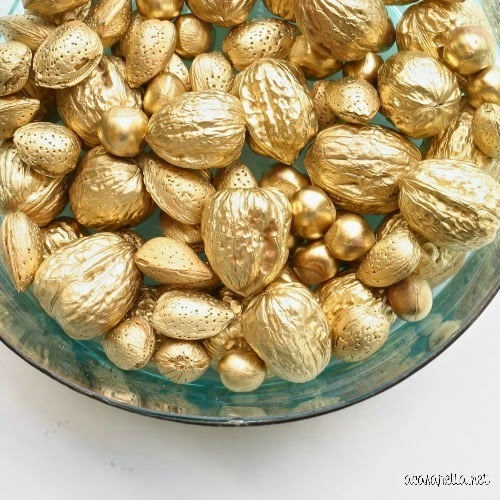 Inspired by Anthropologie I turned ordinary nuts into festive holiday decor. 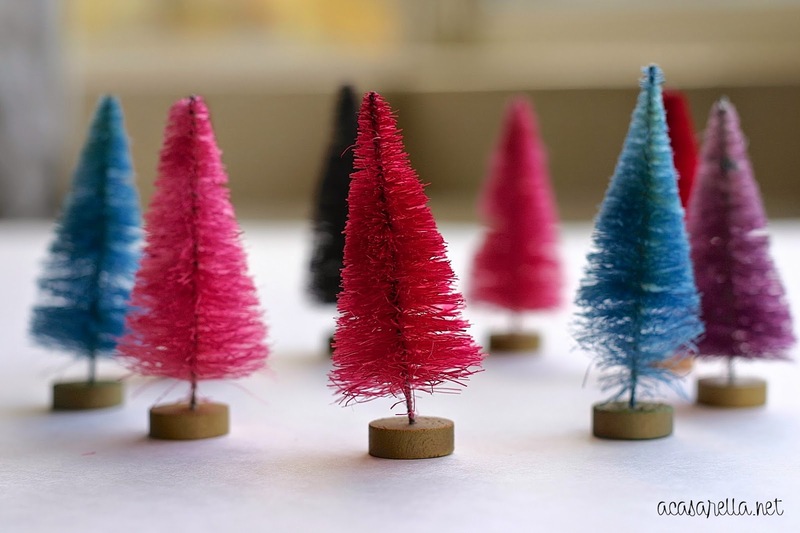 Speaking of the holidays, I had a lot of fun with bottle brush trees this past Christmas, including the dyed ones you see below. 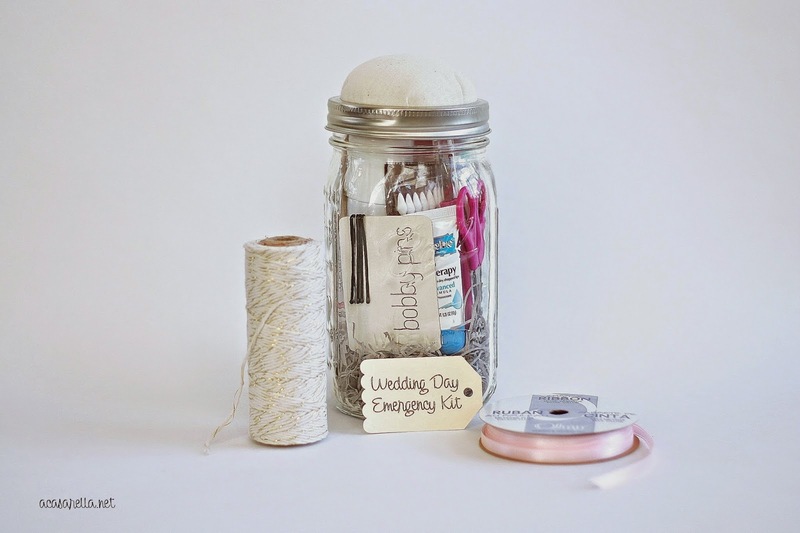 One of my most popular projects ever was the Mason Jar Wedding Emergency Kit which found new life over at The Knot in 2014. 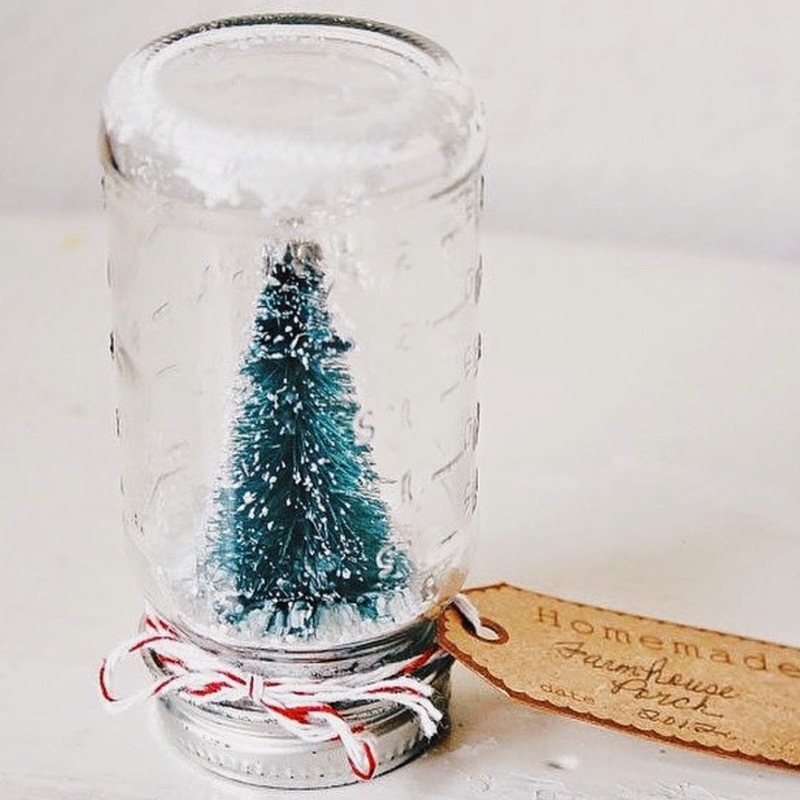 Although Etsy is no longer allowing me to sell them there (because the contents of the jar are not handmade) you can still order one from me by sending an email to: elena@acasarella.net. 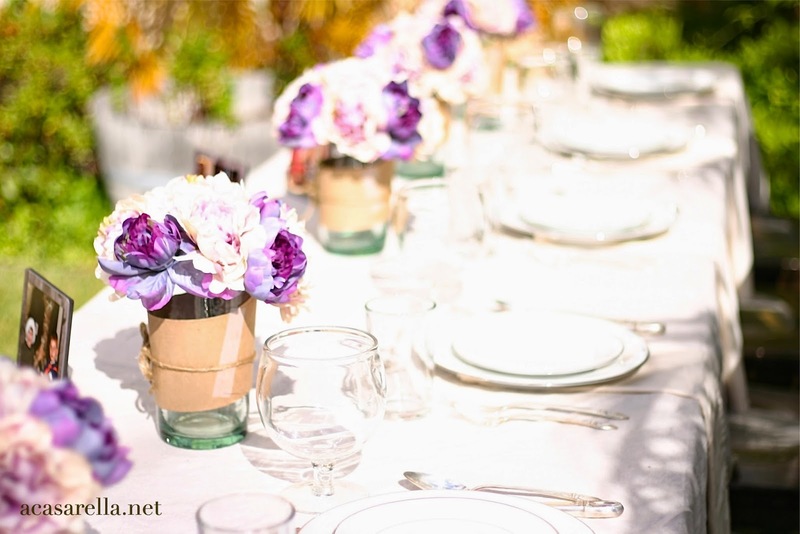 Speaking of weddings, my favorite post of the year was about the wedding reception I hosted in my very own backyard! Another special occasion for me last year was the day that my blog hit the one million page view mark. I had hoped it would happen before January 12th and it did. 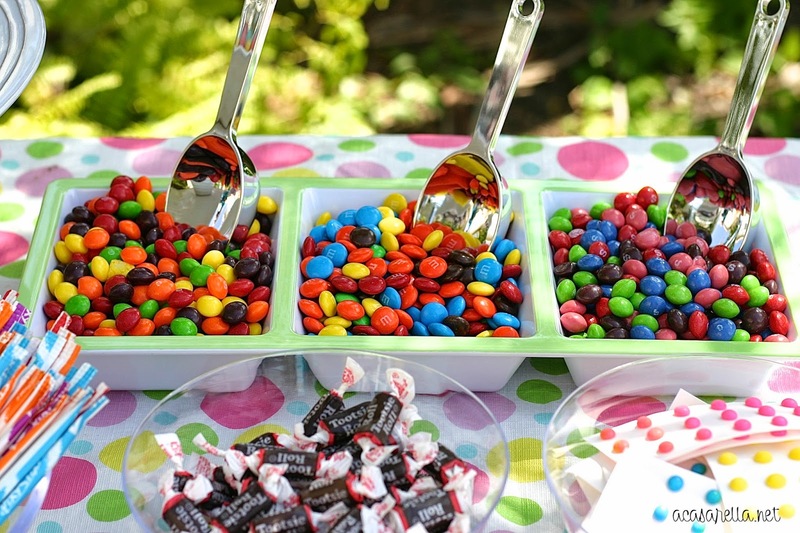 One million page views is child's play to most of the bigger blogs out there, but for a stay-at-home mom who thought the only person who was ever going to read the blog was her mother, it was an exciting milestone. Thanks to each and every one of you for being a part of it! Congratulations on your bloggiversary! I've enjoyed following your posts in 2014… I hope your 4th year brings even more fabulous opportunities. Congrats! One million is a great accomplishment! I love your blog (and your gorgeous photography) and look forward to seeing what Year 4 brings! Congratulations on your bloggiversary! It's been so much fun following your blogging journey. 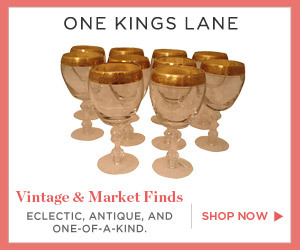 I love that you only do sponsored posts about things that you love. I've also been incredibly impressed with how your photography skills have grown and improved. All your projects look so stunning, as if they should be featured in a magazine! So fun! 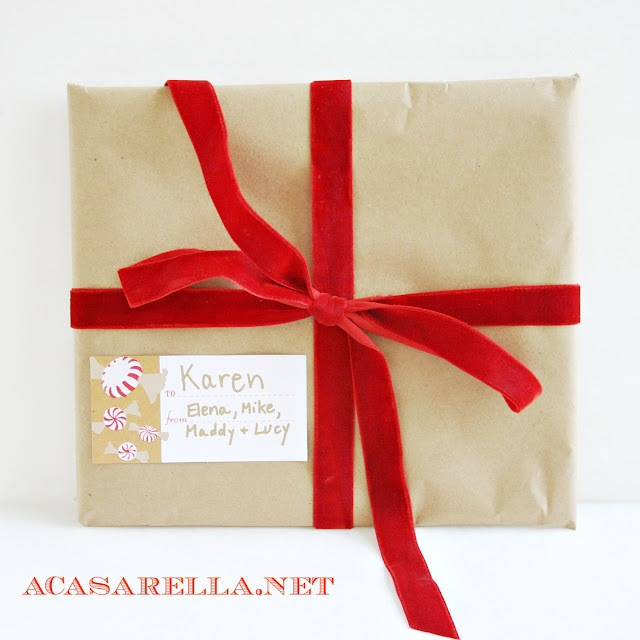 And even though your blog isn't my style (I have NO time for craft projects these days! ;) ) I love knowing that I can say I knew you way back when you were first starting. Congratulations!